So, I've used these short rows for years. In fact, I'm pretty sure I stumbled upon them when I was researching techniques for Family-Friendly Knits and yet, the exact technique doesn't seem to exist on this here internet. It is possible I borrowed techniques from other methods and poured them together to create this - I just honestly don't know. 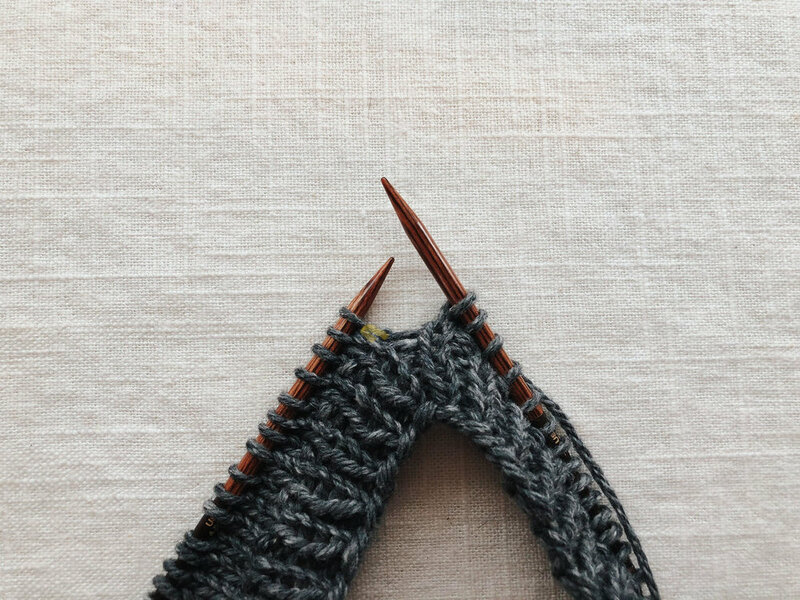 What I do know is that I use this method every time I design short rows and since there doesn't seem to be a tutorial anywhere (a little tid-bit I found out when a sample knitter had some questions and asked if I had a link to a tutorial. Oh yes, sure, I have a link... let me just google that and.... SIGH) ... so, ta-da! "Short row 1: K6, turn, Sl1 P-wise, P11, turn. Short row 2: Sl1 P-wise, knit to one stitch before gap, close gap (See Special Instructions), K6, turn. Short row 3: Sl1 P-wise, purl to one stitch before gap, close gap, P6, turn. Rep Short rows 2 and 3 two more times. Next row: Sl1 P-wise, knit to end of rnd. Knit 1 rnd closing gaps as you come to them. " RS facing: Work to stitch before gap on left needle. The slipped stitch is the next stitch on the left needle. Pick up the stitch around the slipped stitch with right needle and transfer onto left needle, then knit the two stitches together. WS facing: Work to stitch before gap on left needle. The slipped stitch is the next stitch on the left needle. Pick up the stitch around slipped stitch with the right needle and transfer onto left needle, then knit the two stitches together TBL. I've knit to the stitch before the gap and I’m ready to close. The highlighted stitch was the stitch I slipped on the last WS row. 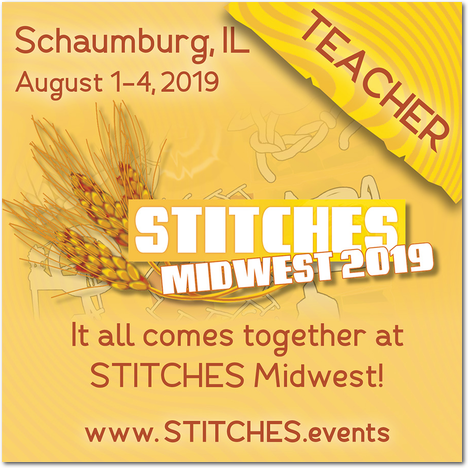 Pick up that slipped stitch (highlighted) and place it on the left needle. 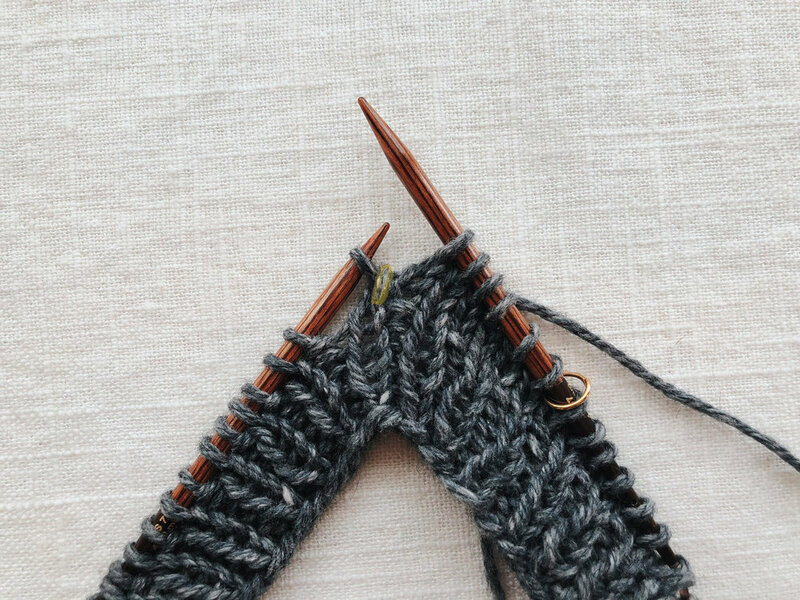 Knit the lifted stitch with the stitch on the left needle together through the back. After turning, it’s time to close the gap on the WS row. I’ve purled to the stitch before the gap and you can see the slipped stitch from the last RS row (highlighted). Again, pick up that slipped stitch and place it onto the left needle. Purl the lifted stitch with the stitch on the left needle together through the back. 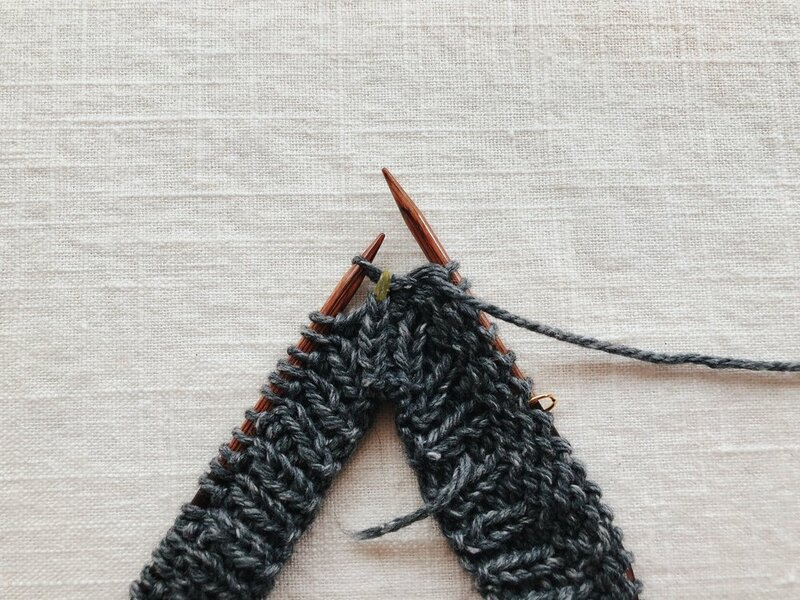 After working the short rows, there will come a time when you need to work a round or row closing all remaining gaps and that’s a bit trickier to navigate. Again, lift the slipped stitch onto the needle, but this time it’s the right needle that you want to place the slipped stitch onto. Transfer the two stitches back to the left needle and knit them together through the back. As you can see, once you know what you're looking for, it's a breeze to work up - and as I mentioned previously, it's the only short row method I've used in my designs for years. After blocking, the stitches lay out even more evenly creating a fabric with almost no sign of short row shaping at all. I hope this has been informative, and if you know if I made this up or if it actually exists elsewhere, please let me know! Ever since I started looking for it this morning, it's been driving me crazy.